Small scale table lamp with square shade and LED lamping. Available in a choice of 11 metal finish options. 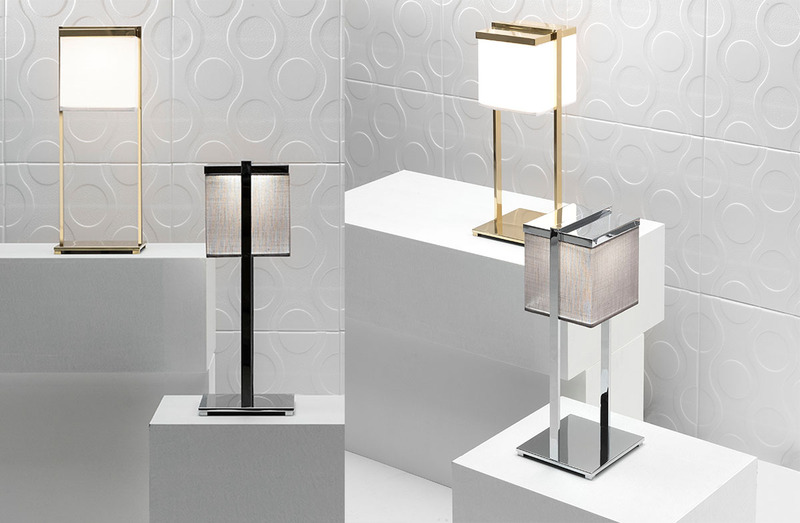 Metal finish options: Polished or satin chrome, Burnished. Brass or brushed brass. Copper or satin copper. White matte or glossy lacquer. Black matte or glossy lacquer.